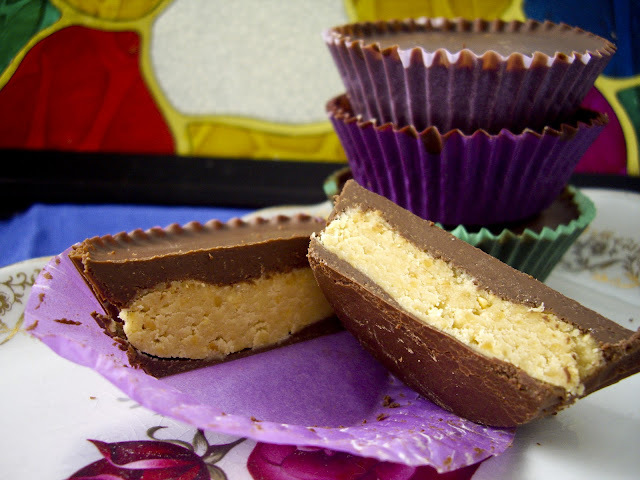 Munchin' Mochi: Chocolate and Peanut Butter Cups, What else? This creation seemed inevitable. One of my favouristest people loves everything that is a Reese peanut butter creation. At one stage I think she was (seriously) talking about ordering a box to save money as she ate them every day. Um. To me, the filling in the Reese's cups tasted like the middle of The Greatest Peanut butter and Chocolate Pillows, but not as good. 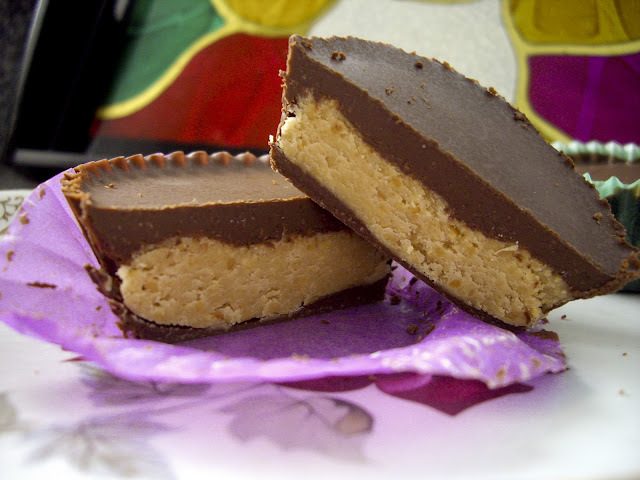 So, I knew with a bit of experimentation, I could beat Reese's! Chuck everything in a bowl, microwave for 30 second intervals stirring in between until almost melted. Meanwhile, boil the kettle. When there's only a few lumps left in the chocolate, don't keep microwaving, just keep stirring. Pour boiling water in a smaller bowl and sit your chocolate bowl on top, making sure the bottom doesn't touch the water. Place in freezer for about 5 mins, or until firm to touch. Combine all the ingredients in a large bowl and beat with a hand held beater until creamy. If it's not sticking together, add some soy milk (or favourite milk) by the teaspoon. Rolls into balls about um, 3/4 of a golf ball, and slightly flatten out. 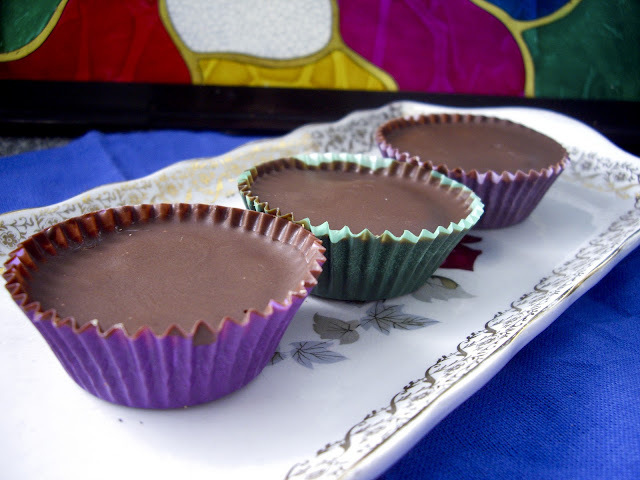 Press into the bottom of your prepared shells then spoon 2 tsps of chocolate over the top. Leave to set then... Well, you know what to do with these babies. These look super yummy! 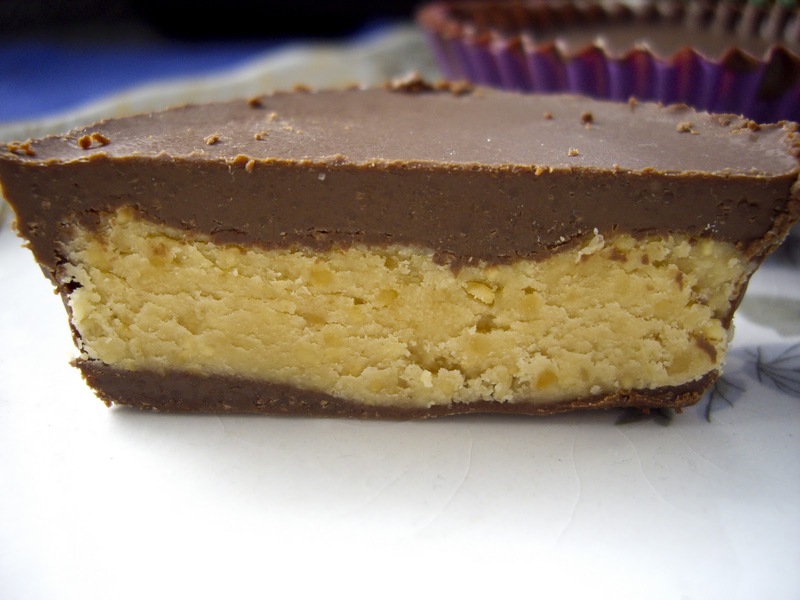 I'm not a big peanut butter fan, but I would love to try making these with almond butter. That's a great idea, in fact, you've inspired me to try this with hazelnut (my personal fav) let me know how almond goes! Looks like I need to amend my grocery list because these look amazing! You've recreated my favorite candy! These photos are killing me. Oh wow, I will definitely be making these. My husband has a bit of an addiction to the Go Max Go Cleo's but they're pretty expensive here! looove PB & chocolate candy! I haven't had one since I went vegan though. I'll definitely be making these! Oh. My. Goodness. Those look SO DELICIOUS. And I love the huge peanut butter filling - it's always my favorite part. Your filling does look like one of the most "realistic" I've seen. Well done!